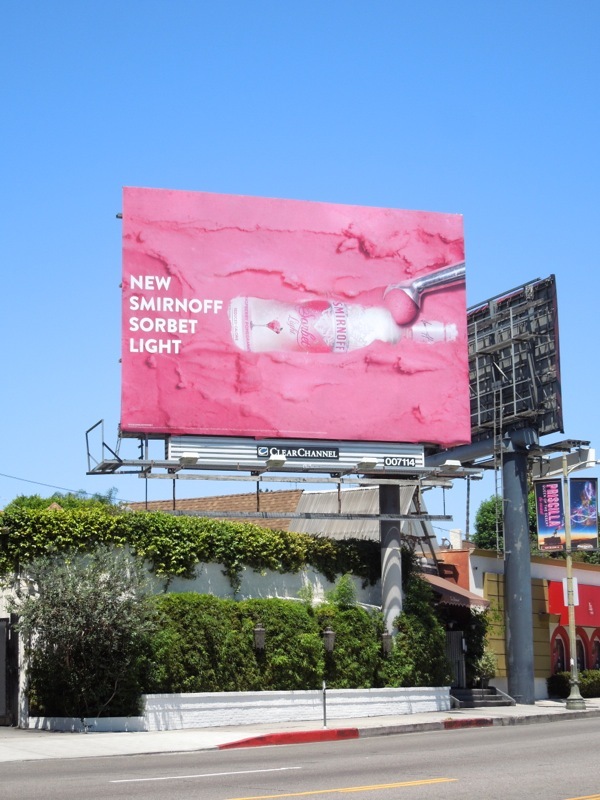 Let's face it, you can't beat a bright pink billboard for stand out and these ads for Smirnoff Vodka's new Sorbet Light variant certainly catch your eye with their clever design. Flavoured vodkas seem to be all the rage, with Svedka Vodka introducing new variants with a fresh ad campaign recently, and it looks like Smirnoff wants in on the action with a low calorie twist, introducing their new Raspberry Pomegranate Sorbet Light. 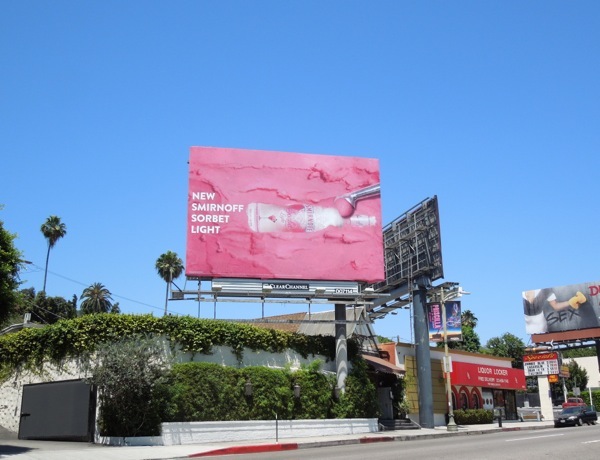 Daily Billboard loves how the vodka bottle is still the 'hero' of the creative, but it being buried within the sorbet and revealed by an ice-cream scoop is a cool visual. 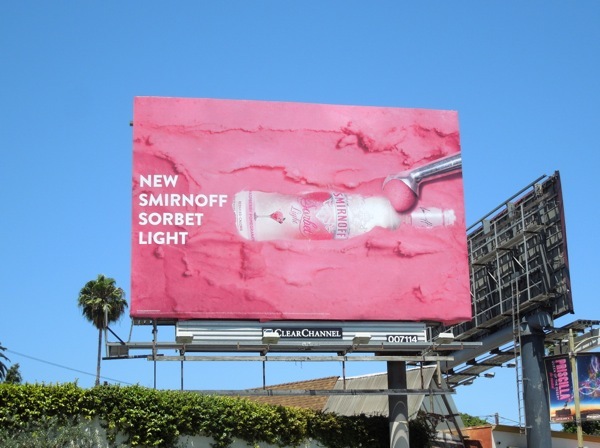 These vibrant new billboards for Smirnoff Sorbet Light, which equally work as portrait and landscape creatives, were snapped in two different locations along L.A.'s busy Sunset Boulevard on July 8, 2013. If you're a fan of the vodka brand, be sure to check out this other ad campaign for Smirnoff Vodka from 2011. 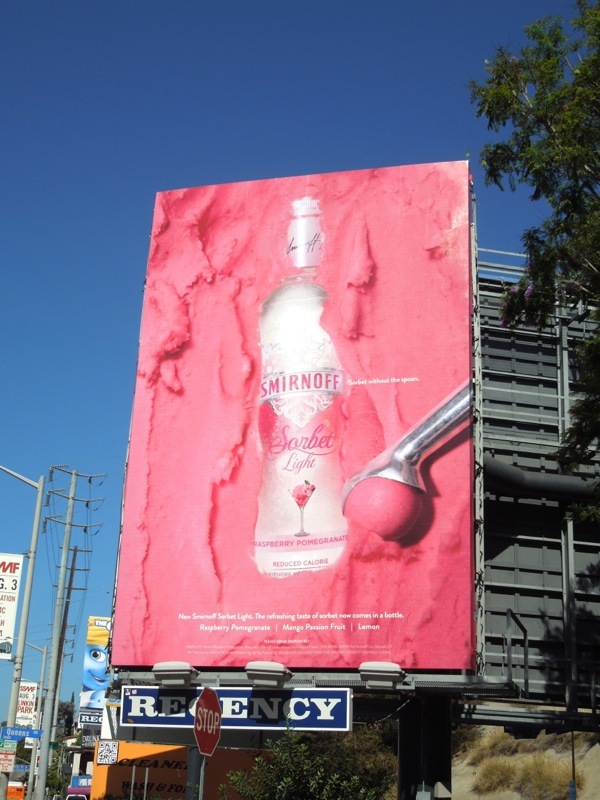 Daily Billboard is positive more flavoured Smirnoff Sorbet Light ads are sure to follow.